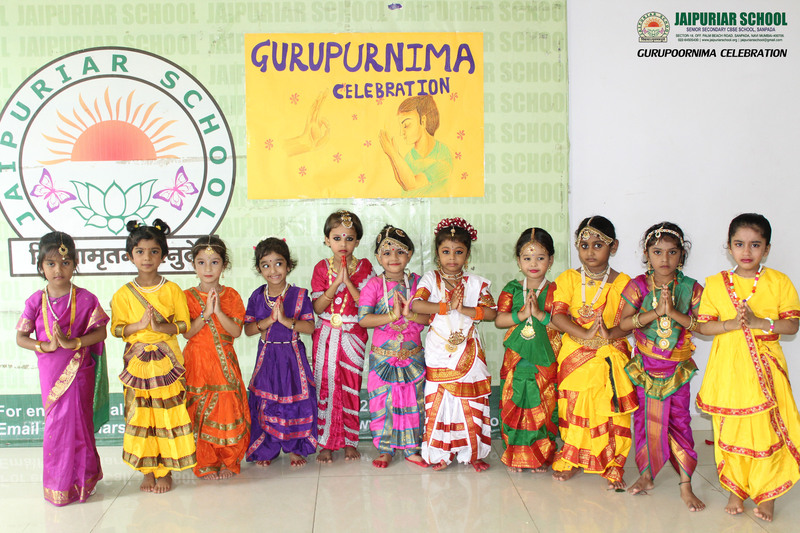 Guru Poornima is dedicated to the great teachers and mentors who build the future of students. 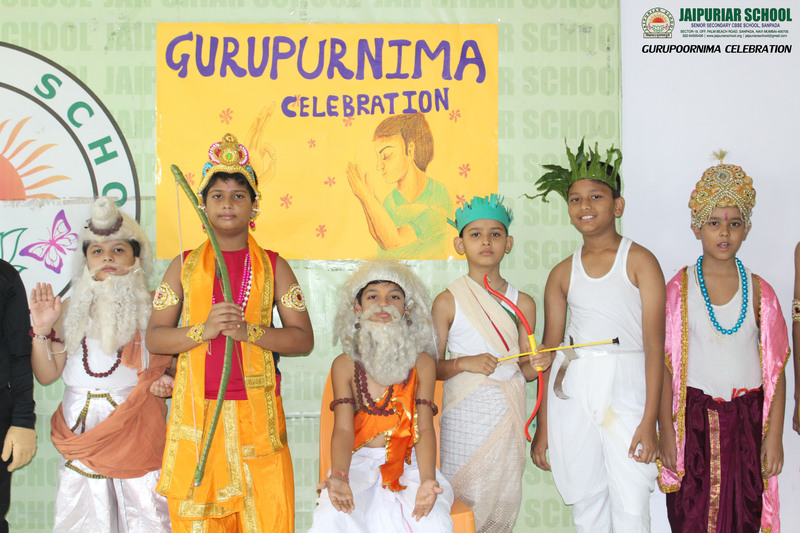 Guru or a teacher is someone who acts like a guide in one’s lives directing students to the right path for their betterment. 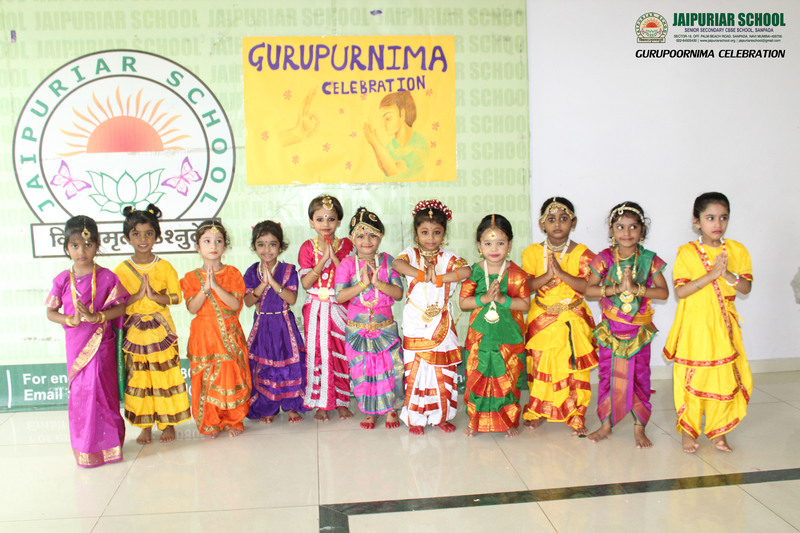 Therefore, it is a best way of paying homage to them on the day of Guru Poornima. 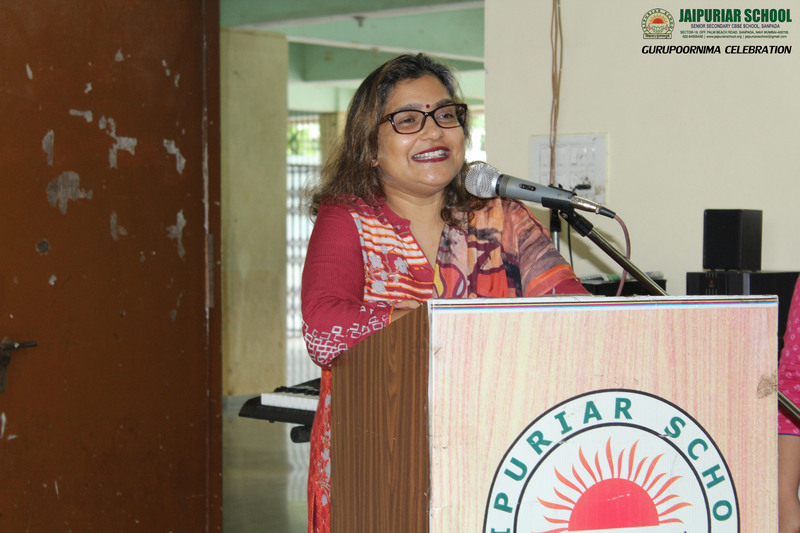 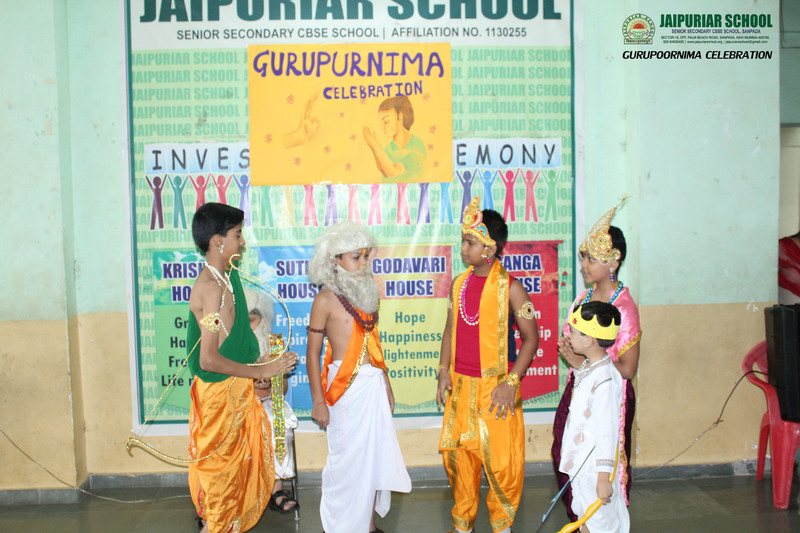 The students of Jaipuriar School celebrated Guru Poornima on 27th July to honour their teachers. 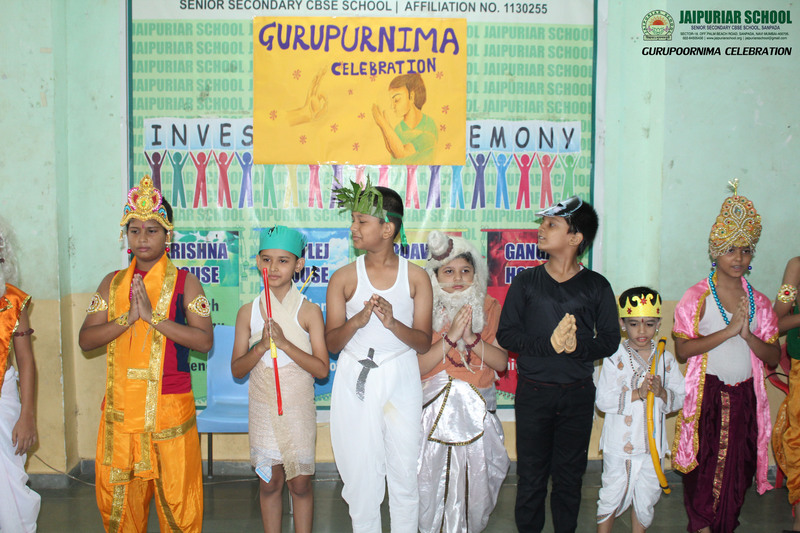 The celebration was organized in the morning assembly. 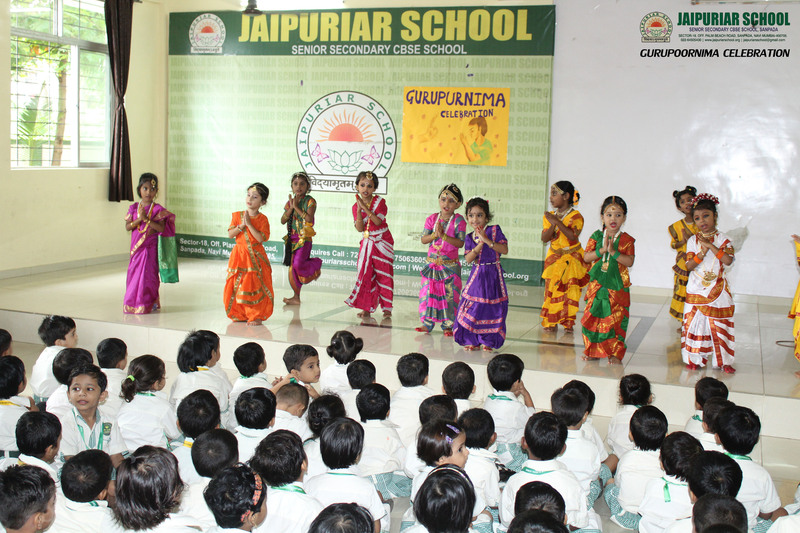 Students from Pre-Primary to Secondary assembled in the school hall. 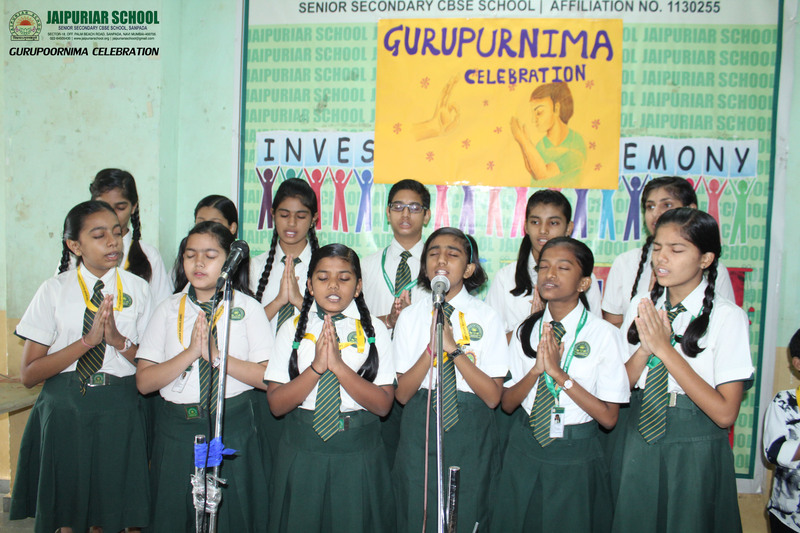 The function began on a happy note with the Morning Prayer followed by a song presented by the students of Secondary to pay an ode to their teachers. 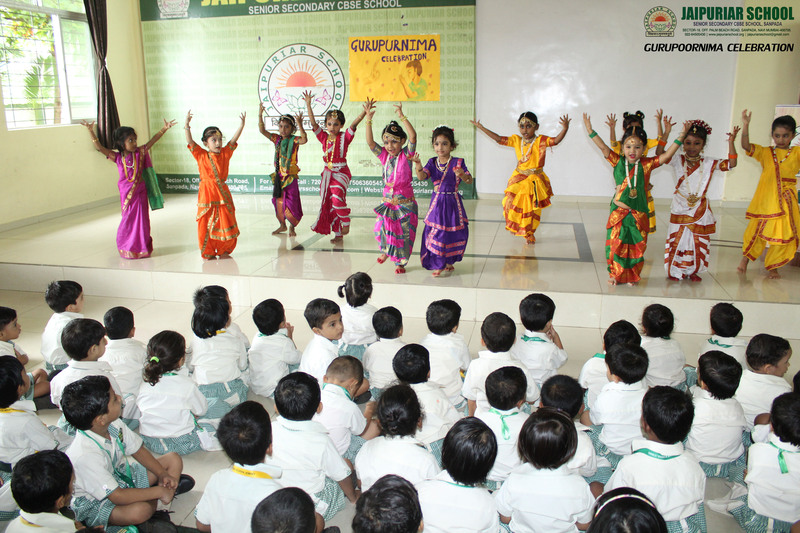 The function was graced by dignitary Mr.KantiLalThkakker from BhartiyaVikasParishad. 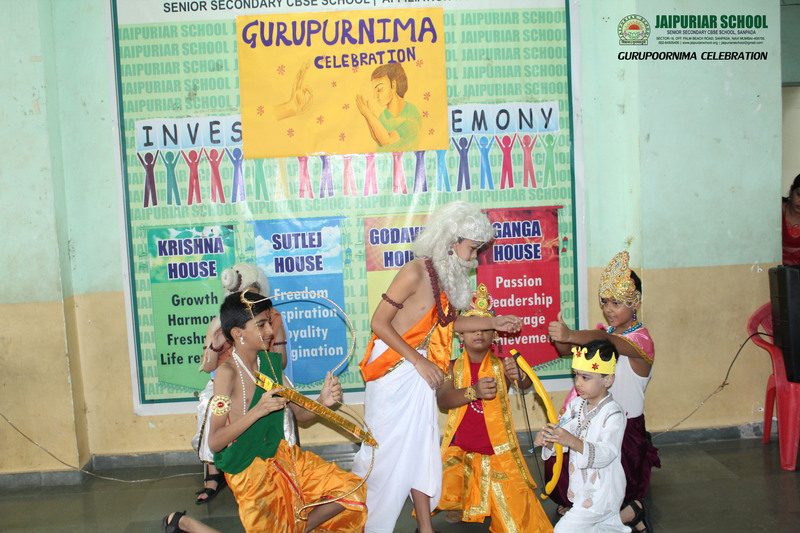 He facilitated the students of IX and X for their outstanding performance in academics.